Relentless Financial Improvement: Credit cards with annual fees: keep, cancel or convert? Credit cards with annual fees: keep, cancel or convert? The credit card programs offering the best sign up bonuses almost always have annual fees. Most of the time, this annual fee is waived the first year of being a card member. This is great because you get to test out the card for one year to see if it's worth keeping the next year. When your credit card gets charged the annual fee, there are 3 options: keep, convert, or cancel your credit card. Some cards that charge an annual fee can be worth keeping. The American Express Starwood Preferred Guest (SPG) cards (personal and business) have a $65 annual fee. It is worth it to keep an SPG card because Starpoints are so extremely valuable. I would definitely keep one Chase premium credit card (Chase Sapphire Preferred, Ink Bold business card, or Ink Plus business card) active at all times to allow for flexibility of Ultimate Rewards point transfers (to United airlines, Southwest airlines, Korean airlines, Virgin Atlantic, British Airways, Amtrak, Hyatt, Marriott, Priority Club, Ritz Carlton). Airline branded credit cards like the Chase United MileagePlus card or the Citibank American Airlines cards may be worth keeping, especially if your company pays for you to fly on business trips. Airline branded credit cards often provide many useful perks such as free checked bags, priority boarding, and bonus mileage earning. Even if I want to keep a credit card with an annual fee, I will still call to try to get the annual fee waived. Simply call the number on the back of your credit card, tell the customer service representative that you are “thinking of canceling your credit card due to the annual fee.” You will be transferred to an account specialist in their retention department who will try to convince you not to cancel your card. These representatives sometimes offer great benefits for keeping your account open such as giving you free bonus points / miles, signing you up for special promotions, and/or waiving your annual fee. I recently logged into my Citibank American Airlines Visa account and saw that I was charged an $85 annual fee for being a card member. I haven't used this card much since earning the initial 50,000 bonus miles for the generous sign up bonus with the two browser trick. There was no way I was about to pay this annual fee. 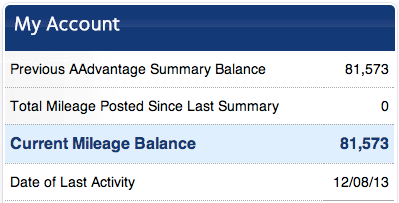 I just logged into my American Airlines AAdvantage account and noticed that I had 81,573 American Airlines miles. While this is a good amount of miles, we can always use more. When I called the Citibank retention number at: 877-254-9697, I explained to the customer service rep that I wanted an “incentive to keep using the card.” Without delay, the specialist offered me a $95 statement credit and also a 1,000 mile bonus after spending $1,000 or more each month in purchases made with the card for 16 billing cycles. For me, the value of this bonus was worth more than canceling the card. I agreed to the offer from the retention specialist, which should allow me to earn 2 American Airlines miles for every purchase up to $1,000 each month. For the next year, I should be able to earn at least 24,000 American Airlines miles (1,000 miles for spending $1,000, and 1,000 mile bonus each month = 2,000 miles x 12 months = 24,000 miles). When the annual fee is due again next year, I'll call and see if I get any new offers. Generally speaking, doing a product conversion from one card (with an annual fee) into another card (without an annual fee) shouldn't be your first decision when dealing with a card's annual fee. When you convert one credit card to another, you lose the opportunity to earn a new welcome bonus. Credit card product conversions should only be a downgrade. Save the premium rewards cards with big sign up bonuses for new applications. It some cases, it can make sense to convert your oldest unused credit card into one that you will actually use from time to time to keep your credit history. Converting your card helps preserve it's credit history, which helps to maintain a strong credit score. 10% of your credit score is based on the length of your credit history. It is especially important for individuals new to credit cards to keep their credit history. When I was hit with my annual fee for my Chase Sapphire Preferred card, the first thing I did was try to get the $95 annual fee waived. When the account specialist could not waive my annual fee, I decided to downgrade it to the regular (no annual fee) Chase Sapphire card. Later I realized it would be much more valuable to have two Freedom cards, and easily converted my card again. I would never recommend applying for a credit card, getting the sign up bonus, and then canceling the credit card. Banks have sophisticated software which can detect abuse of their bonus programs. If banks detect that you are abusing their programs or using your credit card in a manner that is not profitable for them, there is risk that they will shut you down. Big banks offers many excellent credit cards that earn airline miles and points - it's in your best to be on their good side. When I go to cancel my card, sometimes an account specialist may offer me deal too hard to resist such as the deal I got for my Citibank American Airlines Visa card. However, if the offer provided by the retention department is not valuable enough for me to keep the card, I will not hesitate to close the account. I canceled my Personal Starwood Preferred Guest (SPG) credit card after the representative could not waive my annual fee. I kept my SPG business credit card because an account specialist was able to waive my annual fee. Can you cancel and then reapply for the same card and receive the same bonus? Users of American Express cards can reapply for the same card after 1 to 2 years of canceling and get the same sign up bonus again. For instance, many users have reported reapplying for the SPG card 12 months after canceling the card, and getting a new sign up bonus. I would avoid doing this too much to prevent getting shut down. Generally, you cannot get the same sign up bonus for a Chase credit card. This being said, there are currently 3 Chase cards that most users can apply for which allow for transferring of Chase Ultimate Rewards points into travel partners (Chase Sapphire Preferred, Ink Bold business card, and Ink Plus business card). If you wanted to avoid paying any annual fees (up to 3 years) with the premium Chase Ultimate Rewards cards, you cancel and apply for a new premium Chase card. You can apply for the same Citibank card after 18 months since your last approval of a Citibank card. For example, if I had chosen to cancel my Citibank American Airlines Visa card, I could reapply for the same card and get a new sign up bonus 18 months from now. However, there's no telling what the sign up bonus(es) will be in the future. Many banks may set limits to how much credit they want to extend you. When you reach that limit, a bank may no longer approve you of a new credit card. You can then use your previous ]card with the bank as a bargaining chip to get the customer service representatives to open a new account for you. You simply tell the bank to cancel your existing credit card (with annual fee) to move that credit over to a new credit card (with first year annual fee waived). This is a great way to make use of a card you were going to cancel anyways. Does canceling my credit card lower my credit score? I would be careful when canceling your credit card because it may lower your credit score. When you decrease your total credit limits, this can increase your credit utilization ratio, which makes up 30% of your credit score. The higher your credit utilization, the lower your score. 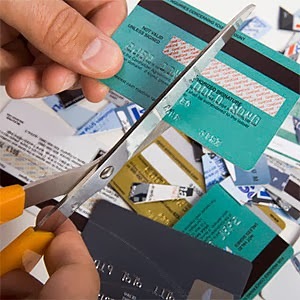 This being said, if you have a long credit history, several credit cards, and very little spend on your other cards, canceling one credit card won't affect your score too much. When I am hit with an annual fee, I do everything possible to avoid paying the charge(s). First, I will call to try to get my annual fee waived. Second, I will consider whether it's worth it to convert the card to a no annual fee one. Lastly, I will cancel a credit card if I don't see myself using it long term.